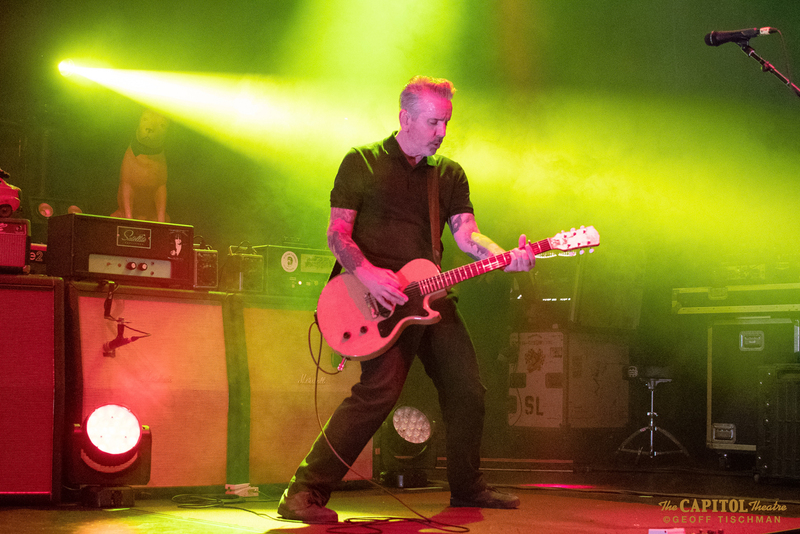 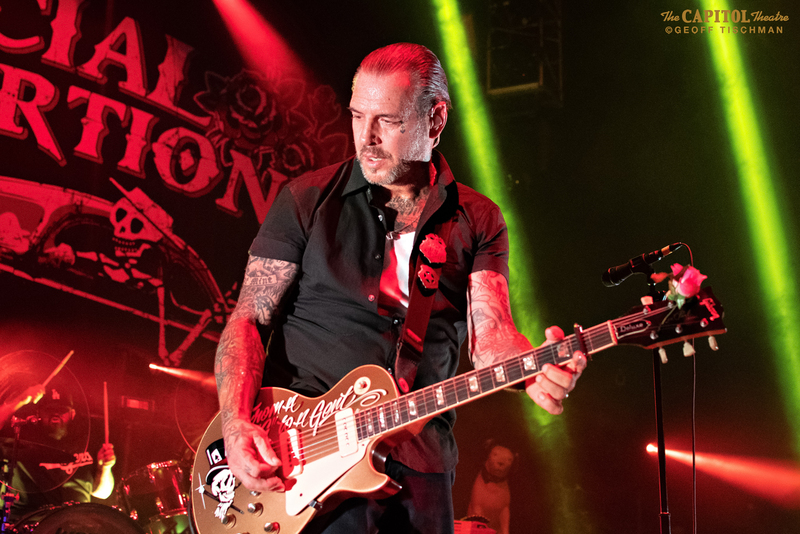 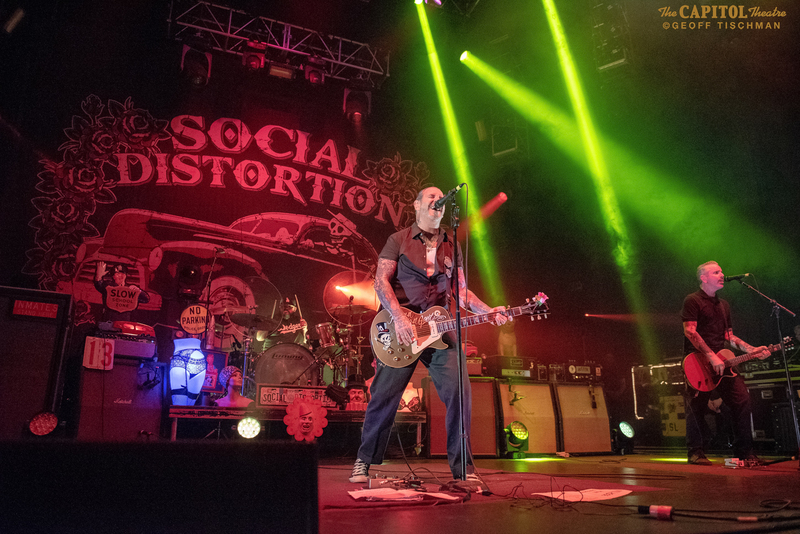 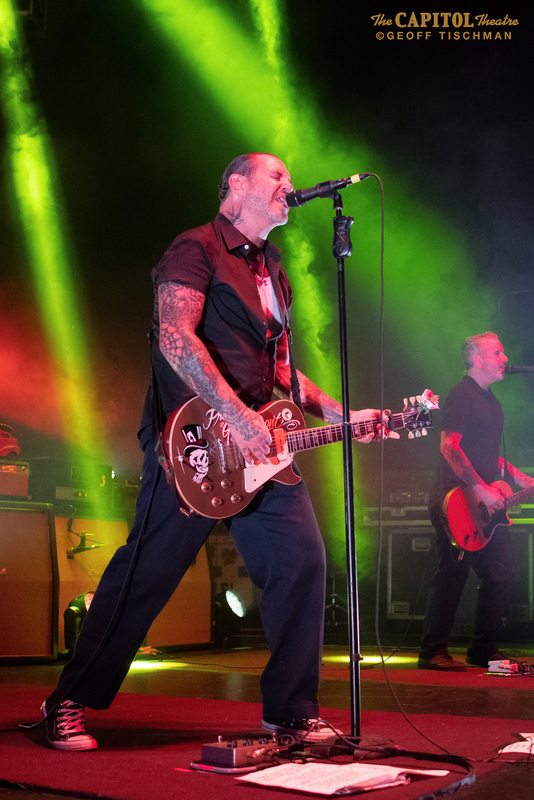 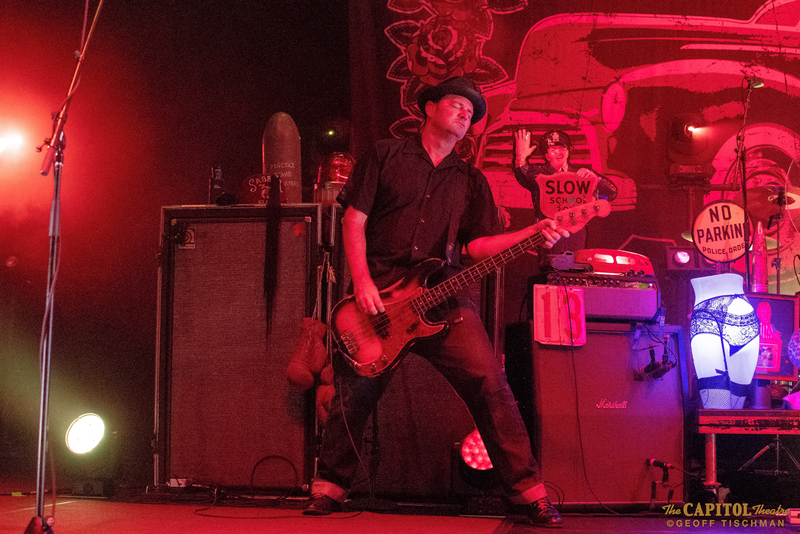 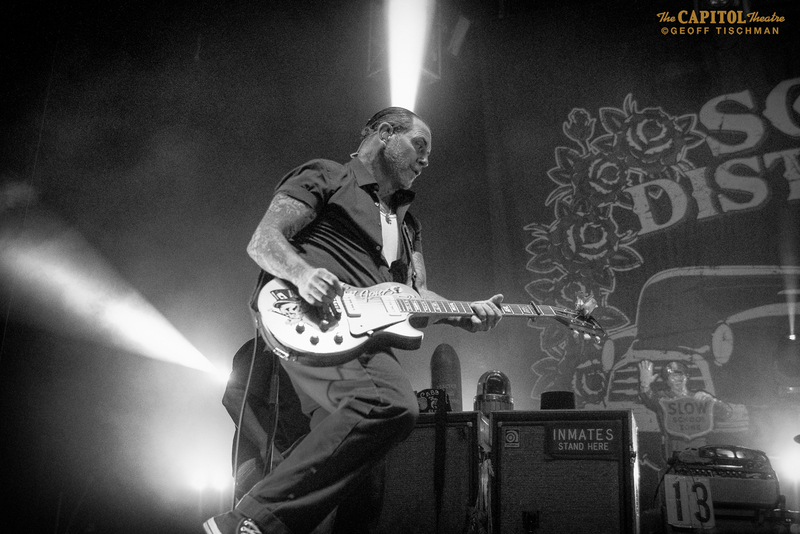 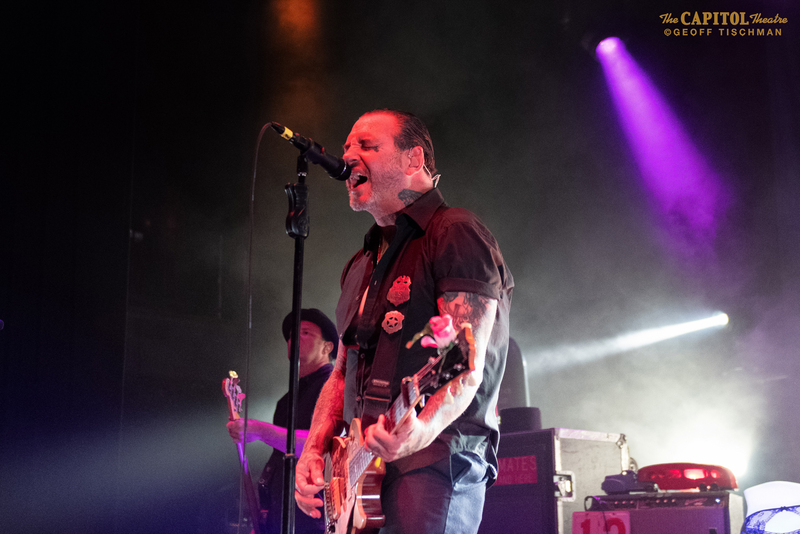 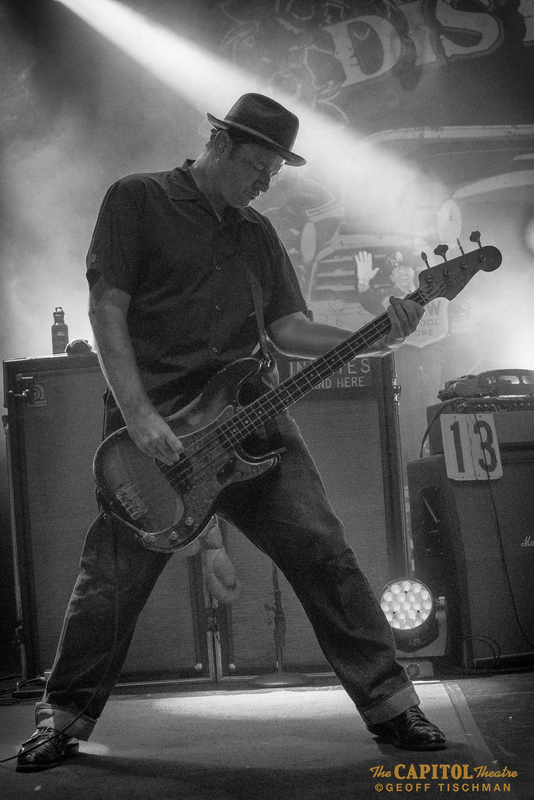 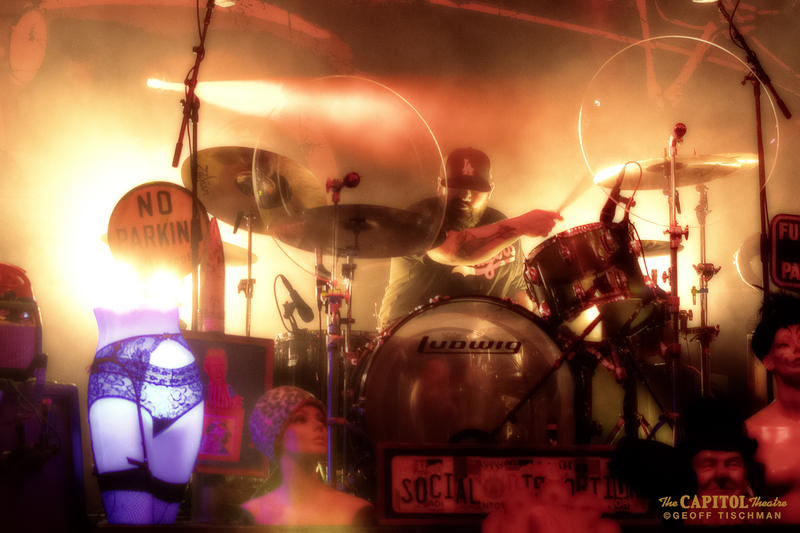 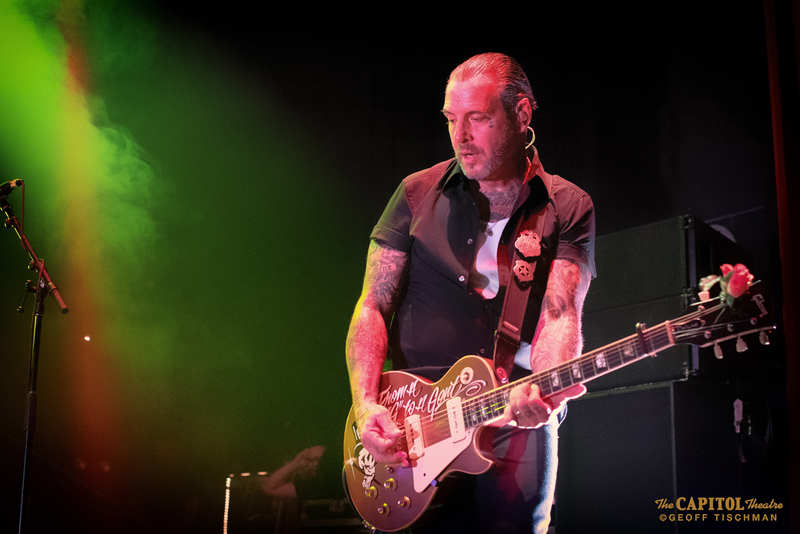 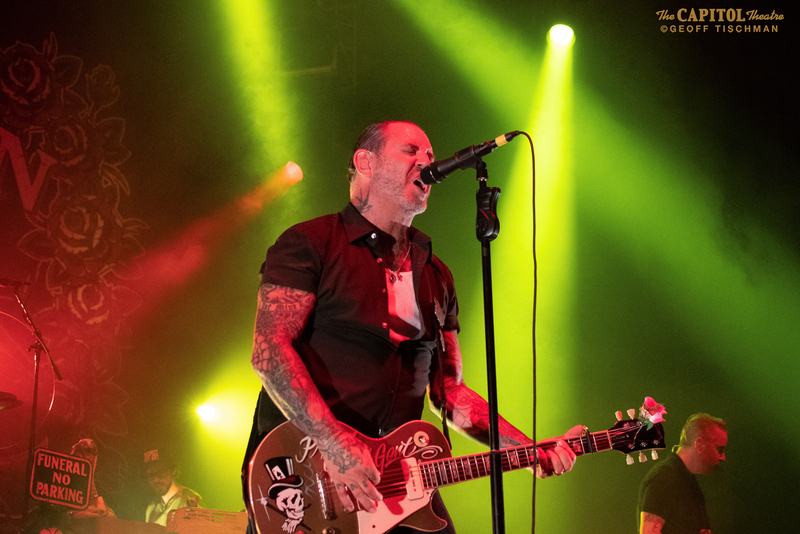 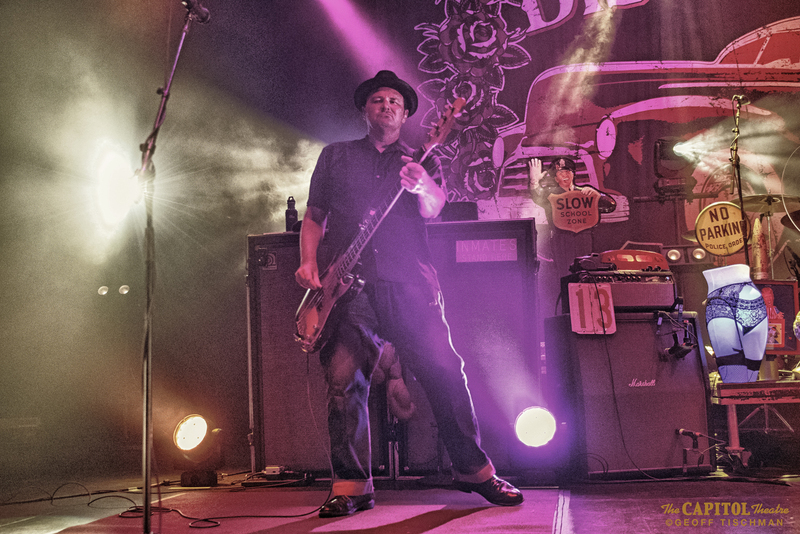 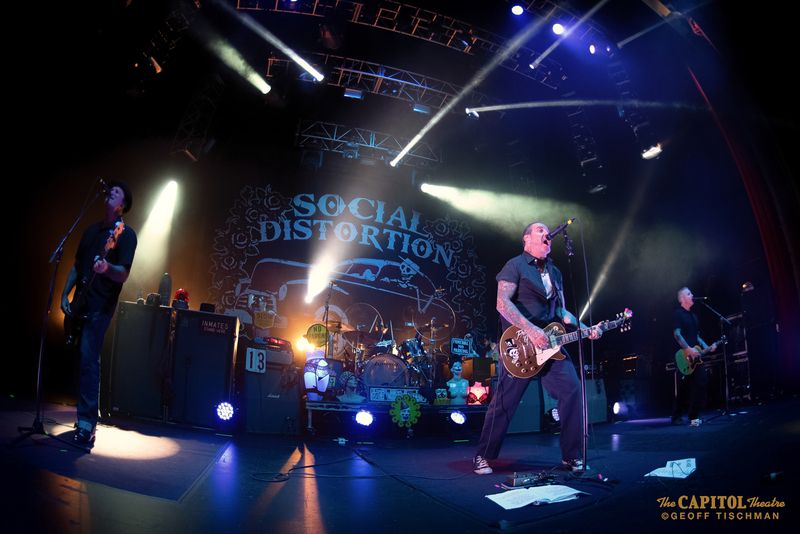 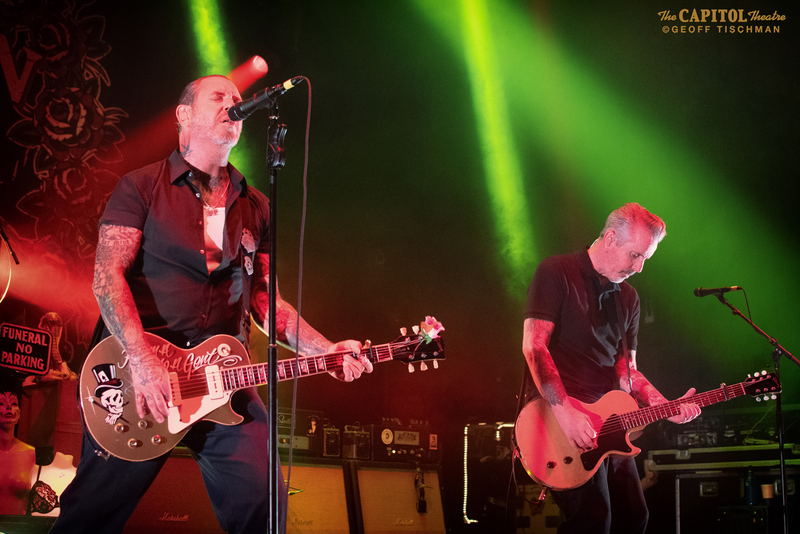 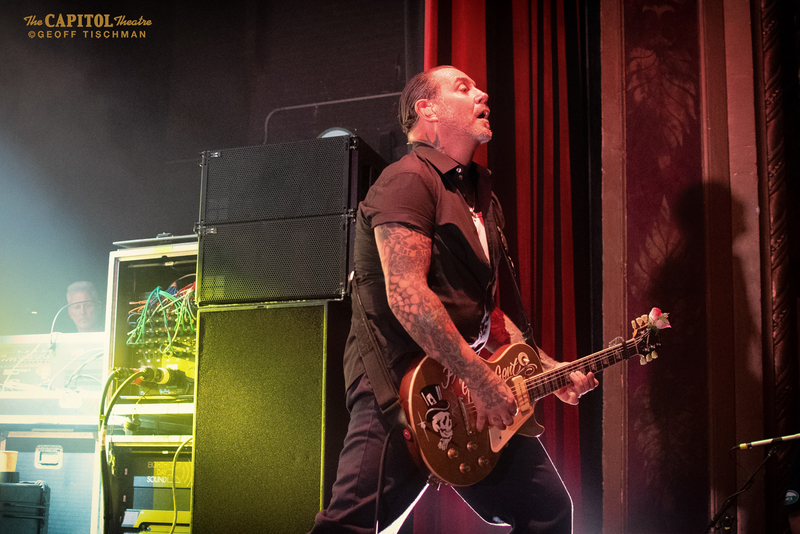 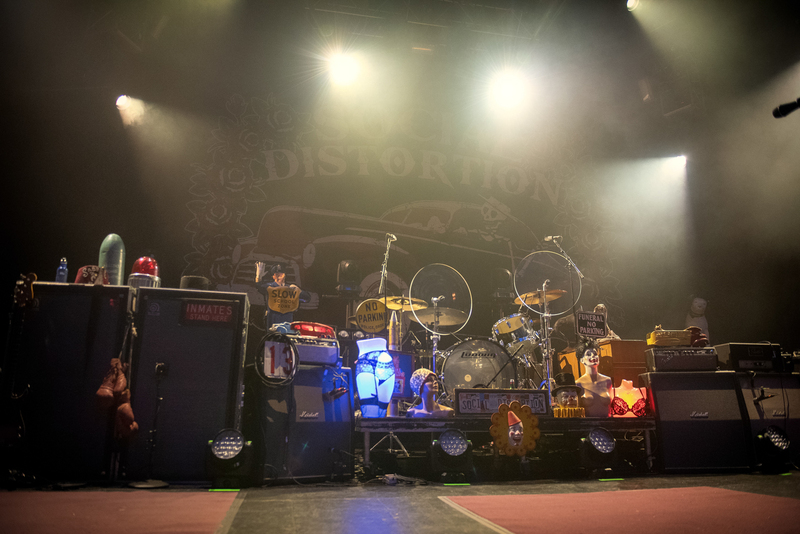 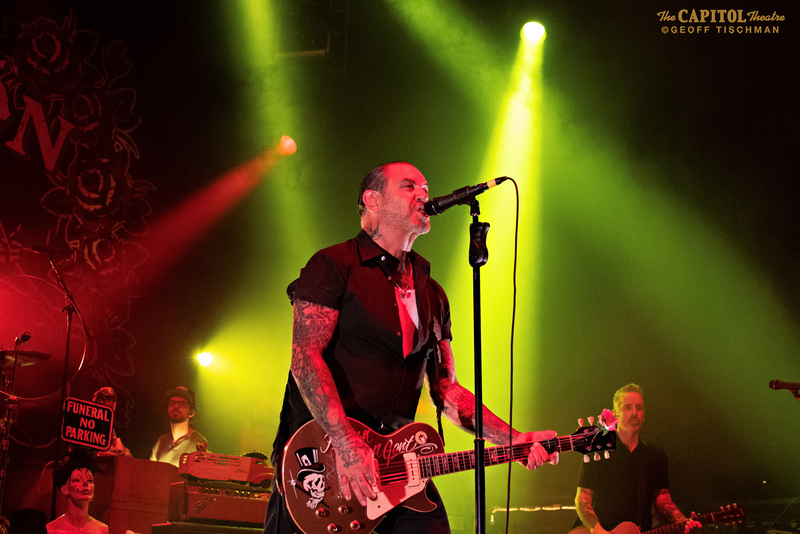 The legendary Social Distortion played a searing set the other night at the Capitol Theatre (10/3). 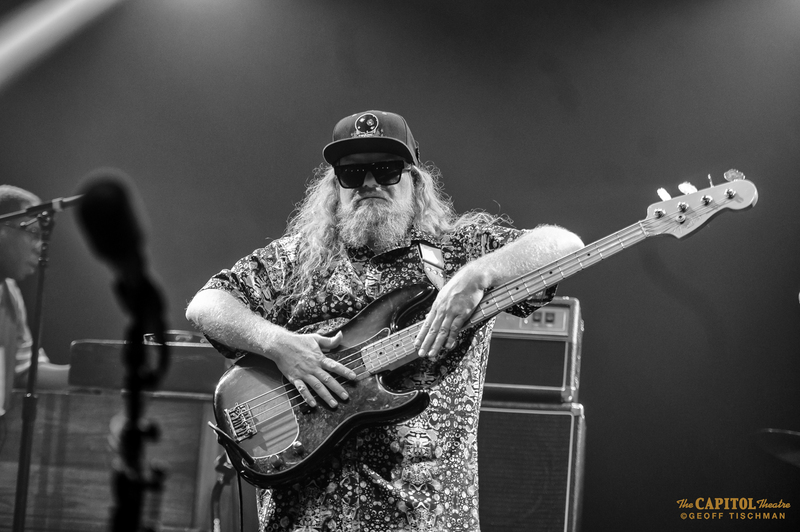 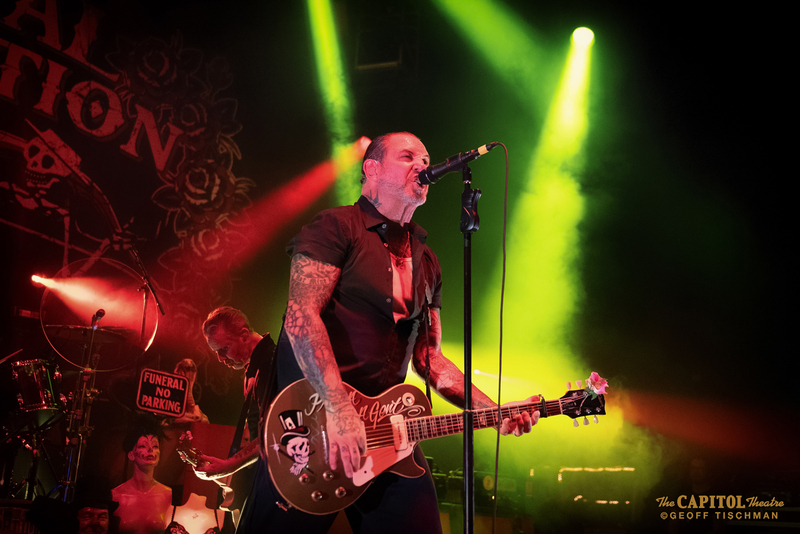 Although the Fullerton outfit haven’t put out a record since 2011’s Hard Times And Nursery Rhymes, they sounded positively reinvigorated and they charged through their catalog with fiery resolve. 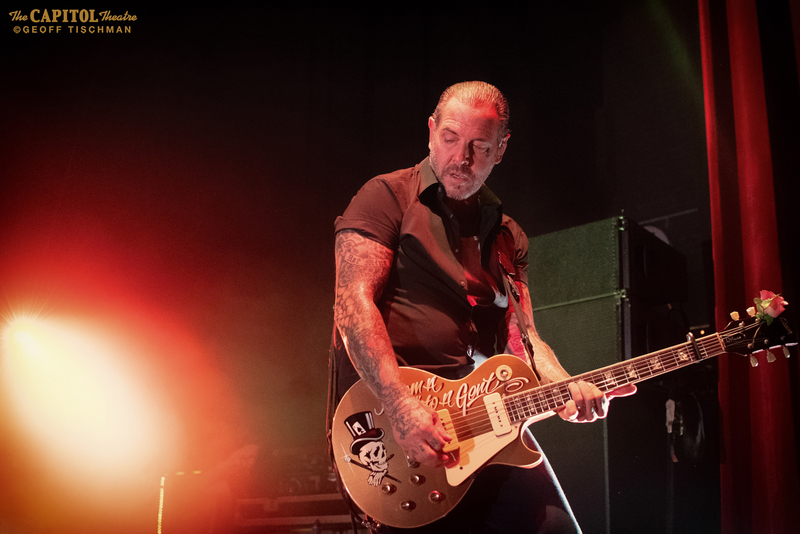 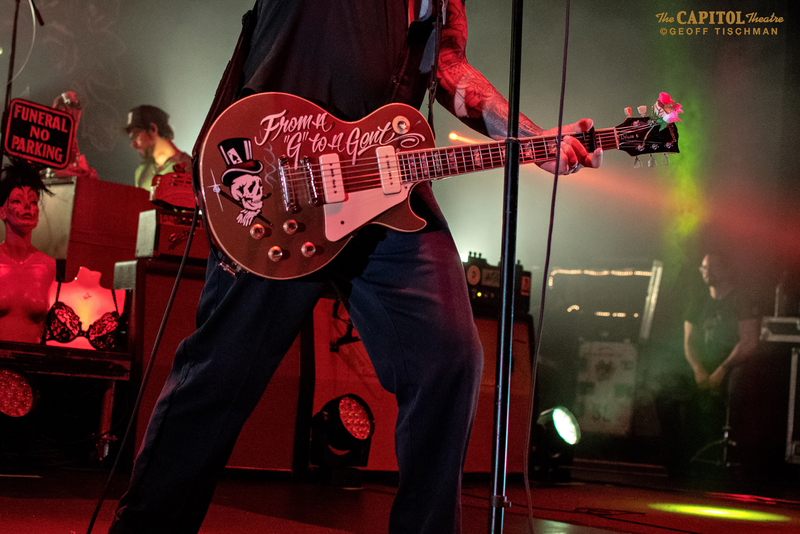 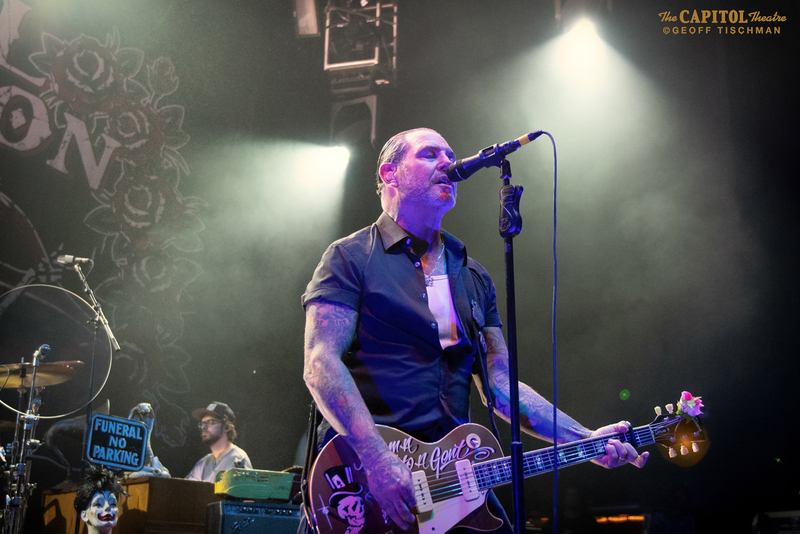 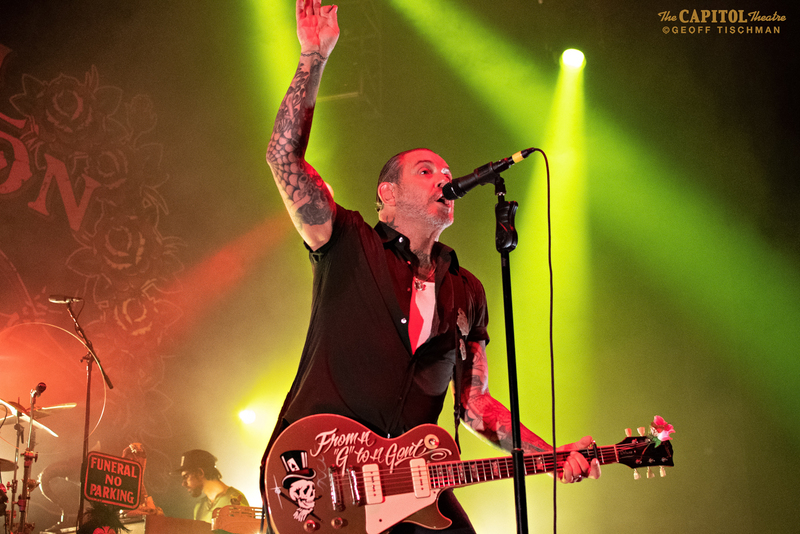 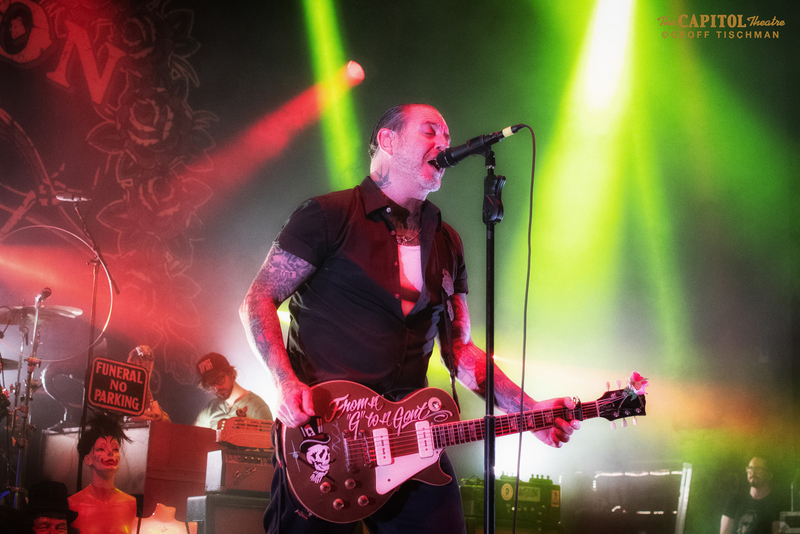 Singer Mike Ness has been at it since 1978 and though he may be the only original pirate left on the ship, his crew are worthy successors to his band’s legacy. 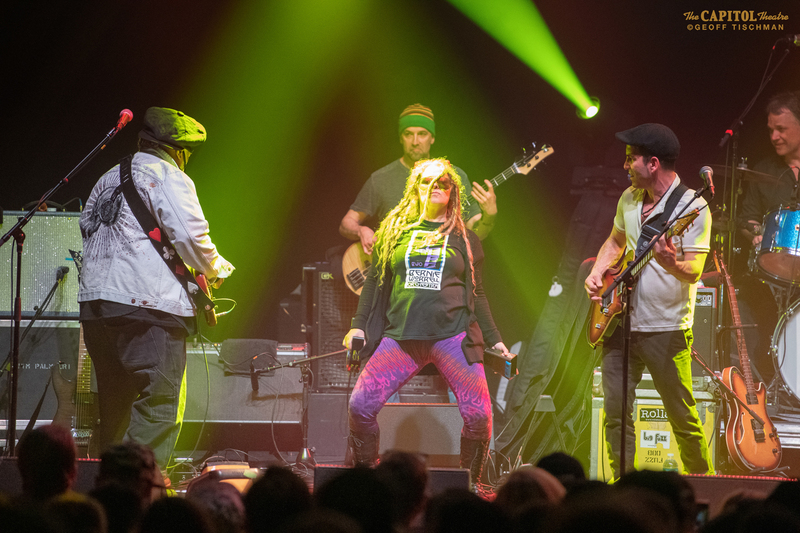 Drummer David Hidalgo Jr. (whose dad is Los Lobos’ David Hidalgo), plays with muscle and groove and guitarist Jonny “2 Bags” Wickersham plays the kind of blazing leads that make songs like “Bad Luck” and “She’s A Knockout” really take flight. 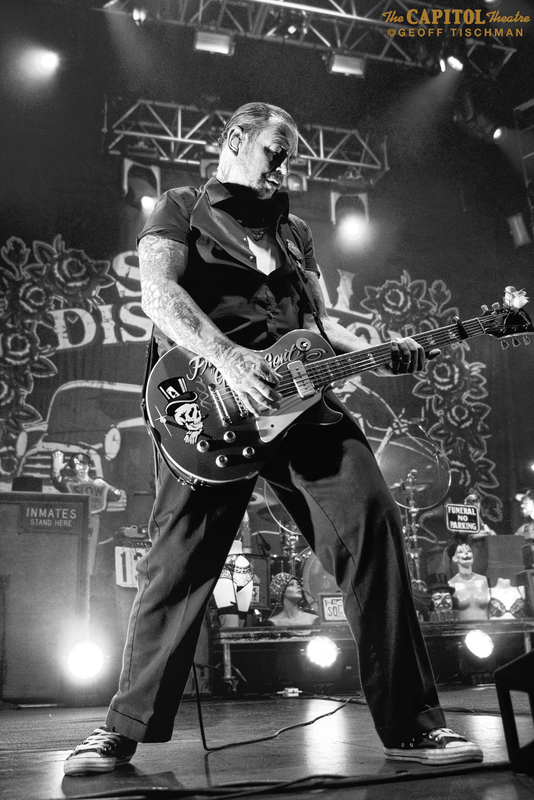 Ness is a punk rock lifer and his aesthetic has always been somewhere between Danzig and Johnny Cash. 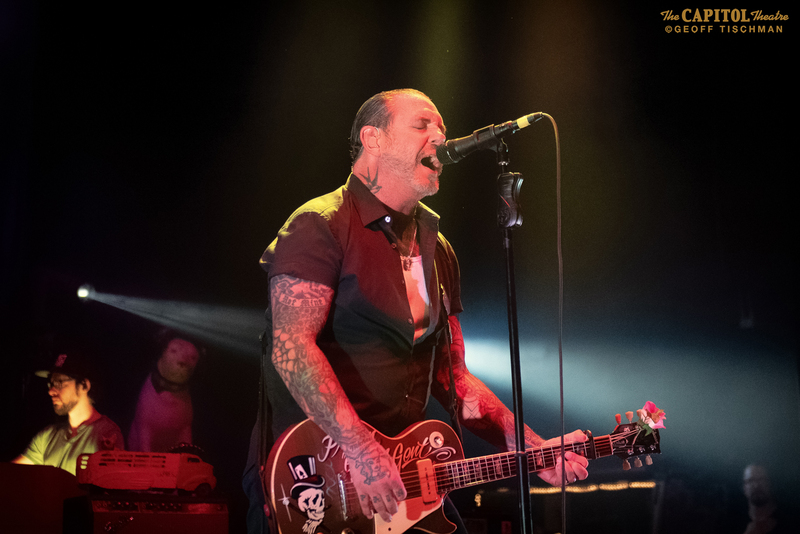 His voice hasn’t lost any of its snarl and he still croons as mightily as ever. 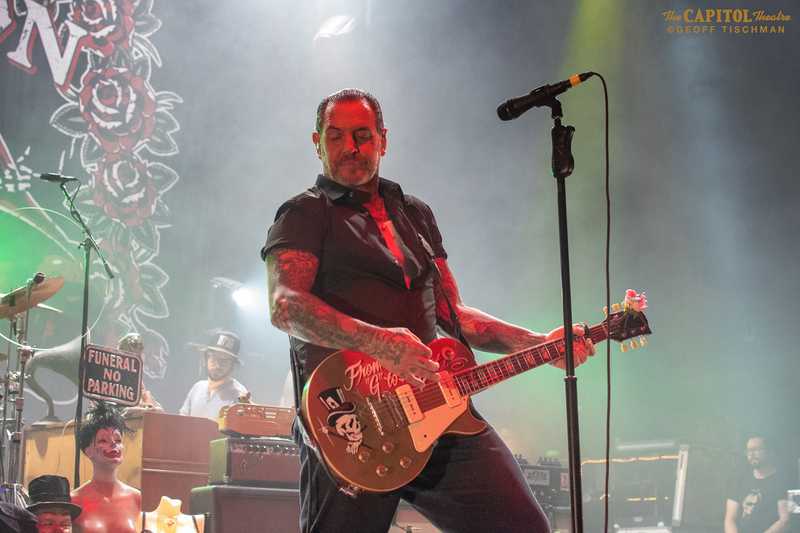 “Reach For The Sky” and “Mommy’s Little Monster” were crushingly perfect; “Another State Of Mind” was played with power and menace and the show-closing take on June Carter Cash’s “Ring of Fire” was nothing short of inspiring.